N Seoul Tower is one of the iconic symbols of Seoul. This place has now become a popular date spot for couples. Like the Pont Neuf bridge in Paris, couples head to the tower to lock their “padlock of love” onto the railing and to dream that their love will last forever. Thanks to TV dramas, entertainment programs featuring movie stars and travel guide books, this tower has become a must-visit spot for travelers to Seoul. 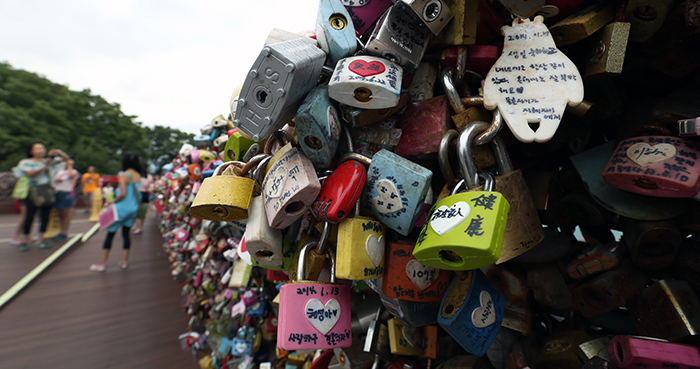 When arriving at the base of tower, its railings and fences covered with “padlocks of love,” visitors will feel the weight and importance of love. Many of the visitors speak in Mandarin, Vietnamese, English or languages other than Korean. Though unable to understand each other’s words, they all have a smile on their face, as they create loving memories at N Seoul Tower. 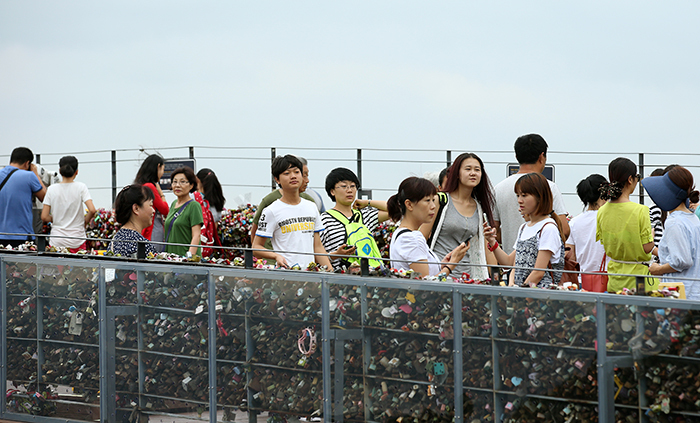 The increased number of tourists also adds to the number of padlocks hanging on the tower’s fences. 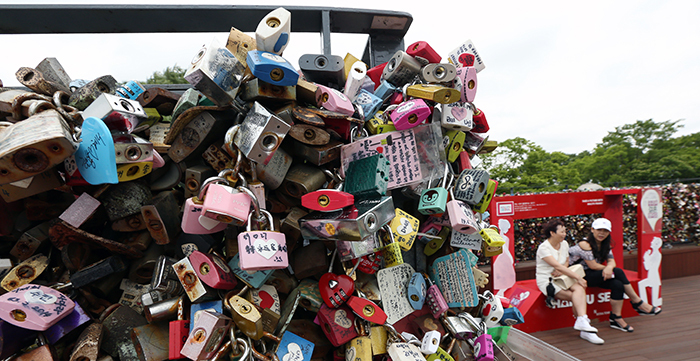 Across the world, there are about 40 attractions decorated with “padlocks of love.” N Seoul Tower is just one of them. This place is also for families as well as couples. Parents who visit the tower with their children lock their own padlocks to the railing, symbolizing the love and harmony of their own family. Seeing people take photos of family members or partners, with a background of love padlocks, is just part of the daily routine at the tower.